Two years ago my family was blessed to meet the Erkmann family when we attended a World Vision walk to raise money for clean water. As we drove up to the race, we were delighted to find a family of smiling kids passing out necklaces and race bibs as others prepared for the walk. The Erkmanns have SUCH a heart for the poor around the world and involving others to make a difference. Our family was touched by their servant hearts and the overall mission of the walk! We decided to do it again the next year, and it has quickly become a family tradition! 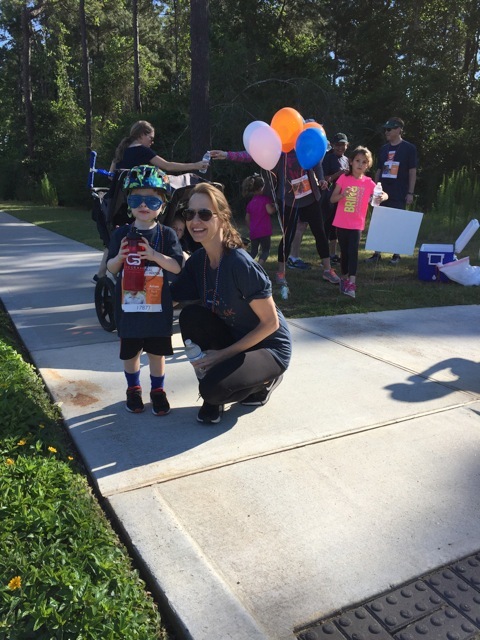 With the next World Vision Global 6K for Clean Water coming up in May, I wanted to share updated information with you about walk and how the Erkmann family makes a difference by hosting it in their own town! 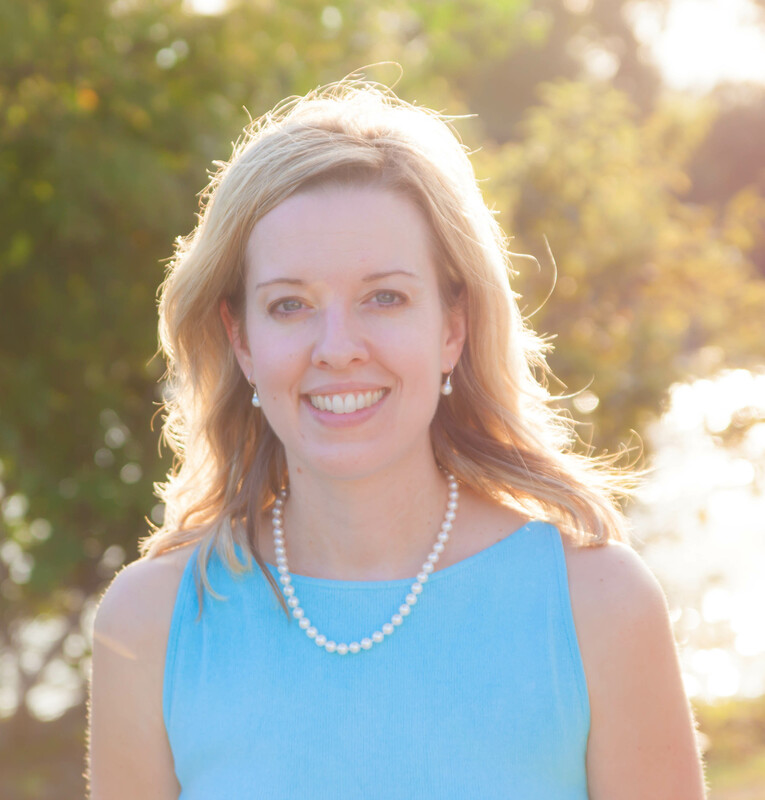 I am privileged to share their story and about this amazing opportunity to get YOUR family involved in helping thirsty children around the world! GKFTK: What ministry is your family a part of to show God’s love to those in need? Erkmann Family: World Vision is a child sponsorship organization that is very important to our family. Currently God has given us a heart for Honduras, and we are involved with child sponsorship, micro-finance, and clean water there. 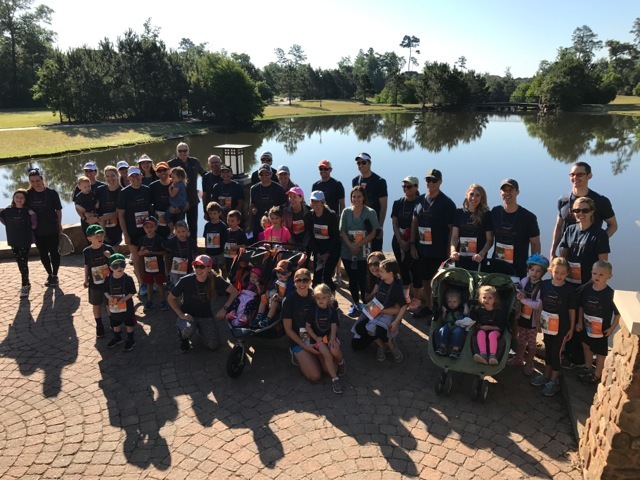 Last year we hosted a site for World Vision’s Global 6K for Clean Water and will be hosting a site again on Saturday, May 4, in The Woodlands, TX. We would love for y’all to join us! It is a great opportunity to serve with your kids and opens up an opportunity to talk about those that live in poverty. 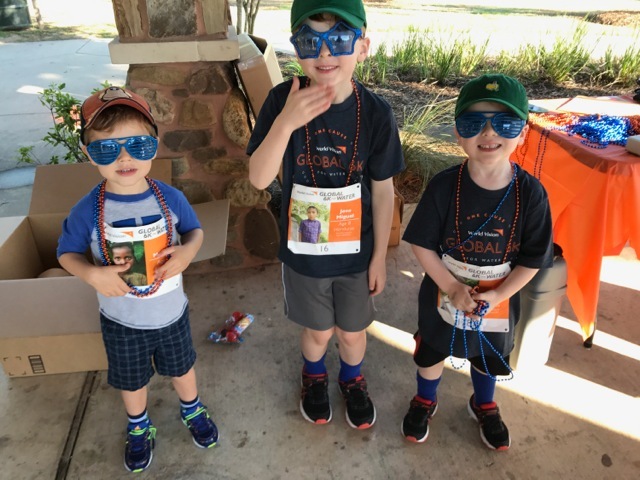 GKFTK: How did you get involved with the World Vision Global 6K race and what does it look like? Erkmann Family: Through the years our involvement with World Vision has evolved, but it first began with child sponsorship. 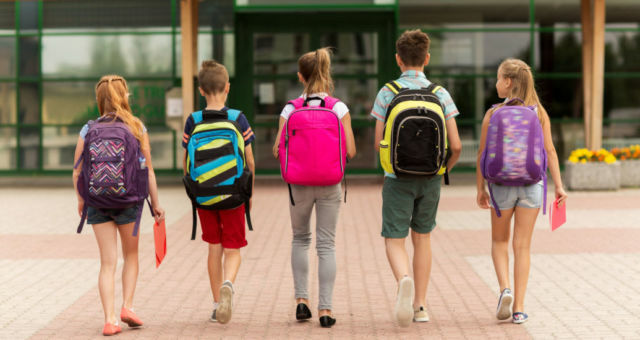 We are constantly looking for ways we can include our children in service, and when we heard about World Vision’s Global 6K for Clean Water, we knew this was a match for our family. It is a great way for our kids to participate with us, and it opens the door for us to talk with them about what it means to have clean water. Through this walk, each registrant will receive a race bib with a child from Honduras, so as he/she walks, clean water is being provided for that child’s community! At the end of the walk, the registrant has the ability to sponsor that child if he/she feels led. GKFTK: How has serving like this been a good experience for your kids? 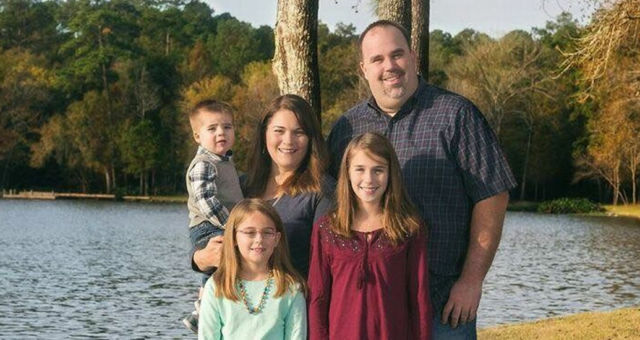 Erkmann Family: We pray that our kids will have servant hearts and will serve the Lord all of their days. Giving them opportunities to serve at young ages and helping them to take ownership of this particular service opportunity has been life changing for them. They know that even though a 6K is a long walk, that is what kids their ages walk daily or multiple times a day to get water, often DIRTY water, for their families. There is a sense of pride and accomplishment when they have completed the walk, knowing that because THEY walked that Saturday morning, now one child will not have to and will have clean water to drink! GKFTK: What are your kids favorite things about serving in this way? 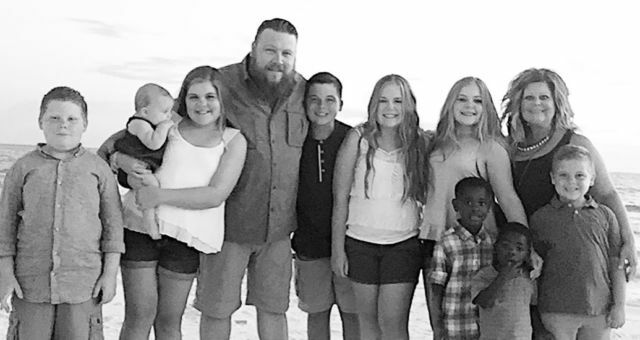 Erkmann Family: Our kids are very active and social, and it is fun for them to invite their friends to serve alongside them. They also love helping others, and they know when they walk or when our family sponsors a child, they are changing lives. Our children that we sponsor have become family, and they have pictures of the kids in their rooms and pray for them every night before bed. GKFTK: How were your kids impacted by serving? Erkmann Family: It opens doors for us to talk about the world around them and the needs of other children. Our two oldest children are all about recruiting for the Global 6K. For every person that walks, clean water is provided for someone who doesn’t have it! My oldest son constantly asks when the next race will be and has begun asking his friends at school. We can see God working in their hearts and softening them to those in need. 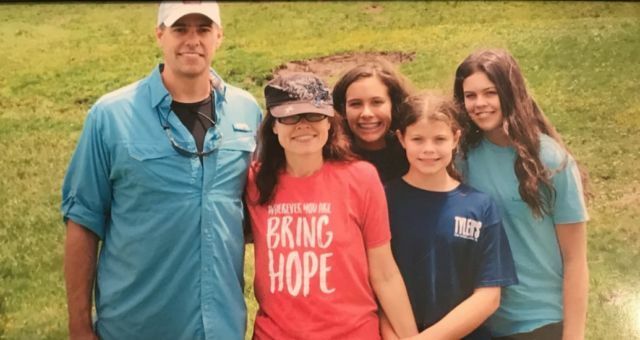 Erkmann Family: Our hope is that not only are we helping with peoples’ physical needs- saving lives physically by bringing clean water to communities, but when they are sponsored or a well is dug in their community, they are hearing the gospel and are being saved spiritually! Many of these people in Honduras pray daily for God to answer their prayers and bring clean water to their communities, and we can be used by God to help answer those prayers. We are blessed with so much and can be the light of Christ to a desperate community. GKFTK: Thank you, Paige, for sharing about this amazing and very impactful ministry! I love how your kids have taken ownership with you as you seek to bring the love of Jesus to those in need around the world! Our family is excited to join you on race day, and we hope that many of you will join us as well as we grow our kids for God’s kingdom! Even if you live in a different area, check out the website and see if there is a race being hosted near you! This is such a powerful way, not only to directly impact people’s lives, but to cultivate a heart of compassion and service in our own children as well. To sign up for The Woodlands Team, click the link here! Check out these great videos below for more information and touching stories!